At a recent company meeting, Jamil Manizade, director of AZAL’s passenger division, described the development as a priority for the airline for the year ahead. He also endorsed that the arrival of the new Boeing 737MAXs scheduled to start next year, will support the ambitious network expansion. Meanwhile, Nazim Samadov, his contemporary at AZAL’s low-cost carrier (LLC) subsidiary Buta Airways, in turn reports that during its first year of operations the LCC managed to engender confidence from its domestic and foreign passengers, including on its two newly-launched international routes to Turkey’s Alanya and Izmir. It also has plans to continue to seduce the market further after taking delivery of another two Embraer 190s in the near future. The company cites the eight-month results for neighbouring rivals Georgia’s Tbilisi airport (2.565 million passengers) and Armenia’s Yerevan and Gyumri airports (1.873 million passengers collectively). Freight traffic through Baku is also on the rise, as Silk Way West focuses on the city’s beneficial geographical position at the crossroads of Europe and Asia. “Negotiations are currently underway to replenish the fleet of the cargo carrier Silk Way West Airlines, in particular with the new Boeing 777F aircraft,” the company reports. 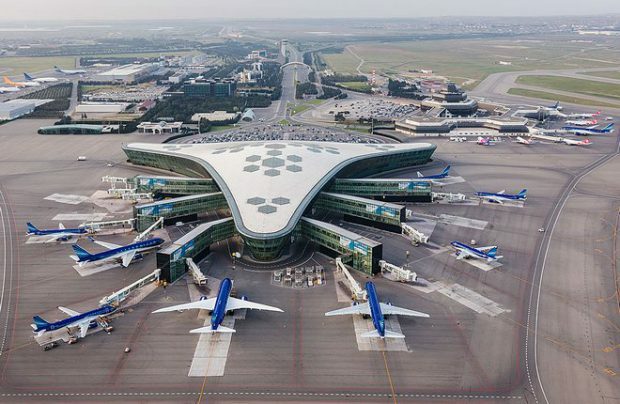 According to AZAL’s president Jahangir Asgarov, with the help of the new routes, passenger traffic through Heydar Aliyev International Airport should exceed seven million passengers a year by the end of 2020. “This is our priority task and we must fulfil it,” Asgarov affirms. Last year 4.06 million passengers were served at Baku. “I officially declare that the gates of Heydar Aliyev International Airport are open to any airline. We are available and ready to meet any wishes. I invite airlines both near and far to fly to our beautiful Heydar Aliyev International Airport, which offers the whole range of services at the highest levela,” the AZAL president enthuses.